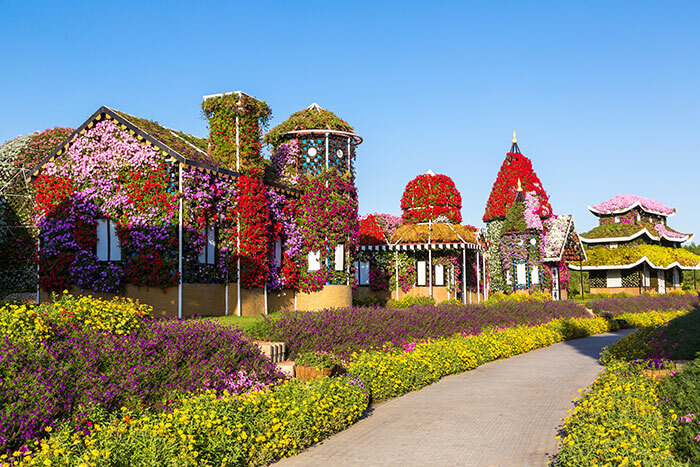 With its sensational flower displays, it’s no surprise that the Miracle Garden tops our hotlist of scenic sights. Located in Al Barsha South and open between the months of December and April, this park contains over 100 million flowers displayed in unique shapes and formations. Perhaps the most frequently snapped is the heart-shaped displays that perfectly frame your Instagram shot. The life-sized Emirates A380 is also a spectacular sight to behold. A new addition to the Dubai beach club scene, El Chiringuito is an Instagrammer’s dream. Located on The Palm, every corner of this laid-back location has something picture perfect. From giant gold angel wings to billowing flower canopies and boho-inspired chair swings, this stunning beach club is the perfect place to relax and unwind. The most iconic Instagram shot can be found beneath a canopy of white dreamcatchers that sway in the breeze. 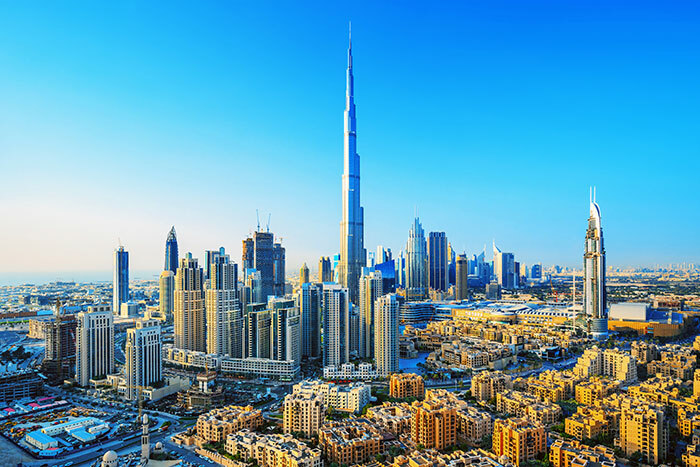 The world’s tallest building needs no introduction. The Burj Khalifa is perhaps Dubai’s most well=known destination, but it’s the views that make this location picture perfect. Make your way to the Atmosphere cocktail bar where you can see the whole of Dubai from 123 floors up. Here you can take in the most breathtaking fountain displays and take a snap from one of the floor-to-ceiling windows. Make sure you sample one of the delightful drinks while you’re there, this cocktail bar serves a renowned gin concoction that has been given the title of the 'Best Cocktail in the World'. For stunning sunset shots, look no further than the Dubai desert. In Lahbab, the sand dunes are tinged with a reddish/orange hue that makes creating a unique Instagram shot a breeze. Be as dramatic as you like, wear a flowing dress or a suit and do it for the gram. While you’re there, why not try your hand at quad biking or sand boarding? Did you even go on holiday if you didn’t get the ultimate infinity pool Instagram shot? Dubai is brimming with beautiful places to sun yourself but the Burj Al Arab takes the biscuit. The building itself is iconic, its silhouette is in the shape of a sail but the most incredible Instagram shots are waiting for you at the terrace pool. With a shaded swim-up bar, luxury day beds and a picturesque vantage, it is the perfect place to catch a tan. While Dubai is packed with incredible hotels, the Palace Downtown is one that appears on the Instagram pages of travel bloggers, fashion bloggers and lifestyle bloggers most often. One of the most palatial hotels, it boasts unique architecture surrounded by a mirror-like lake, flanked by opulent palm trees. It is located on the Old Town Island in the heart of downtown Dubai. This stunning hotel is surrounded by many of Dubai’s most popular attractions so you can fit in all of the essential sightseeing pitstops. 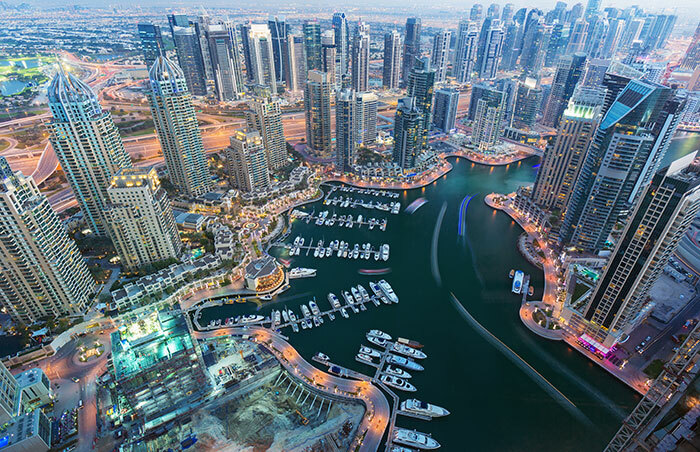 Dubai is known for its jet-set lifestyle and nowhere is this more apparent than the Marina. With its backdrop of impressive skyscraper buildings that shimmer in the sunlight to the collection of beautiful boats, the Dubai Marina is just as impressive in the daytime as it is at night. This area is renowned for its restaurants so leave a little time to grab a bite to eat. 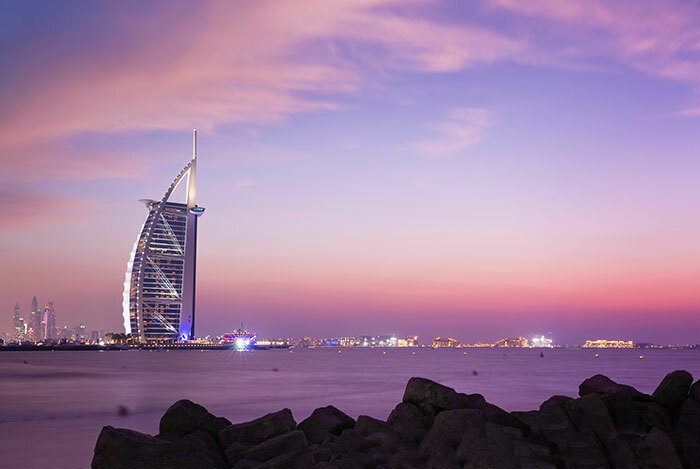 Check out our range of Dubai holidays and start planning your photo opportunities today.